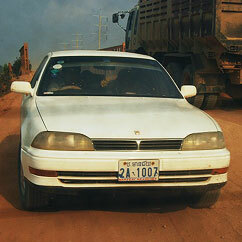 Charter a taxi from Siem Reap and go all over the country with our chartered destination tours. A Sedan car is normally utilized for this kind of tour. However, kindly take note that some taxis might be in a rough shape where in the windows might not work or the air-conditioning unit of the vehicle may not be sufficient etc. Your travel insurance might not cover any liability in case an accident should happen. We therefore recommend you to take this tour on your own risk. 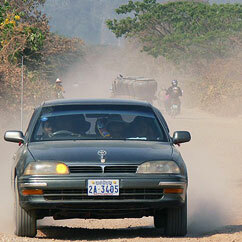 Depart from Siem Reap and the taxi will have no tour guide whatsoever and a maximum of 4 passengers may be allowed.